When you take up a review of a book for which no request has come to you, one thing you can be sure of is that the review of the said book will be unbiased and not guided by personal biases and considerations. Patrick Sammut, a poet and writer of great distinction, who is the Vice-President of the Maltese Poetry Society, has been rendering great service to literature and mankind through his creative musings. He writes poetry in Maltese, English and Italian. 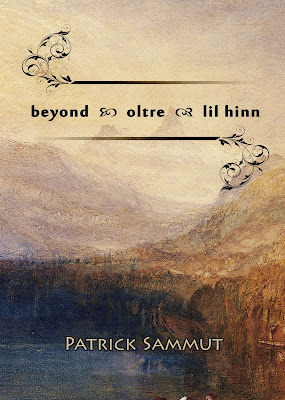 I have had an opportunity to read his book of verse Beyond-Oltre-Lil Hinn, a collection of poems written in English, Italian, Romanian, French, Spanish, Portuguese, Greek, Dutch, and Esperanto. As I could read and understand only poems in English, my review is confined to these poems which touch on varied facets of life that necessarily carries with it experiences of different hues. Revelations through these poems reflect on throbbing fullness that life is but that fullness has it’s own scheme of dispersal that is left to every individual to decipher, understand, grapple with and finally to go with or without these dispersals with subsequent consequences. 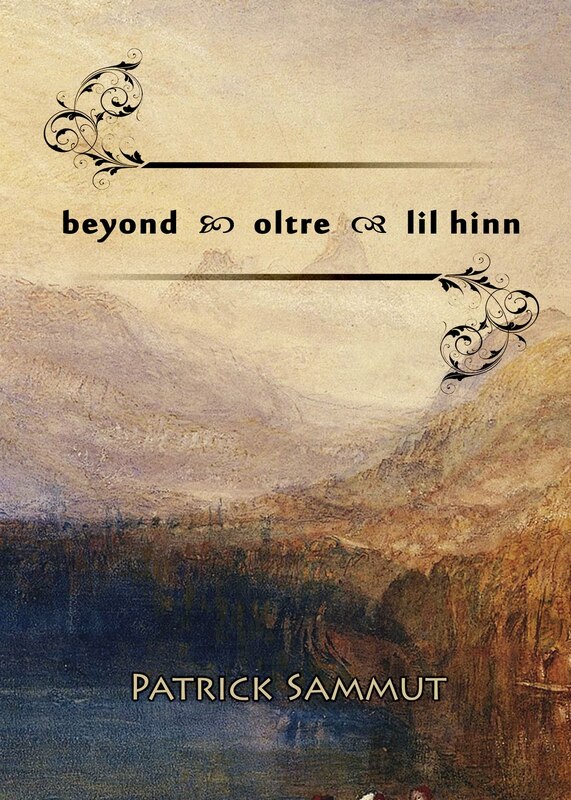 Patrick, aware of such a scheme of things that exists in the cosmos and not baffled by conflicts of existence of an individual, tries through his poems to weave together contradictions and paradoxes contained in such a scheme. Here, he is confronted by his “whole being” which feels “free as the mist that clothes the dawn.” Such a rich imagery is a rarity in poetry of the present era. His imagery tackles all demands normally placed on a poet and still emerges unscathed. Sharp piercing cries have no significance or place. In another touching poem, Solid, we are immediately transported to vividly realized scene where the poet has, as all true lovers do, to convince his beloved. The eternity of a single moment is important. Between today and tomorrow lie arrays of suffocating moments that test the lover incisively. And for this I bleed in secret. I personally find Patrick’s poems are firmly grounded in the mastery of craft. Poems read either as a single poem or as a body of work open a plethora of possibilities and asymmetries in which readers are allowed the freedom to open their doors of perception, wallow in imaginative speculations and finally explore the roots of literary imagination. It is the vision and not mere circumstance that shapes his poems. K.K. Srivastava lives in INDIA, has written two books of poems—Ineluctable Stillness (2005) and An Armless Hand Writes (2008). 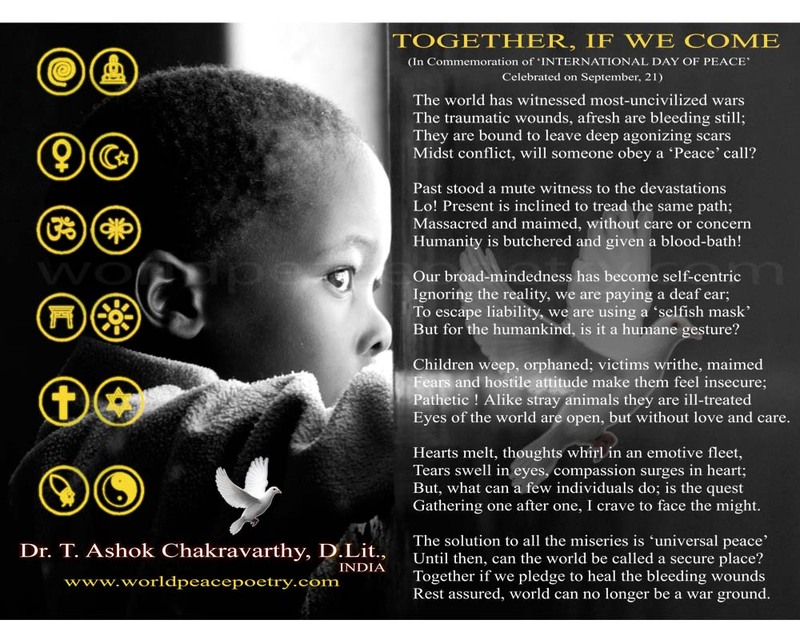 His third book of poems is expected early 2012. Short-story writing in Maltese is an exquisite experience for both the author and the reader. The language, as unique and challenging as it really is, lends itself magnificently to the genre, probably surpassed only by poetry which, as we know, provokes the highest literary elocution in the Semetic family of languages to which our National Language belongs. However, it is no easy task to capture its spirit and nuance in translation, more so when introduced to an Anglo-Saxon linguistic ambience. Thankfully enough, Patrick Sammut’s forceful works, enriched by a strong vocabulary and a highly-committed style of presentation, found in Alfred Palma the precise, often patient translator who excels in both languages, and what you have in your hands is one special niche dedicated to modern Maltese Literature. This is not the first time original Maltese Language works have been reproduced in English. Our national poet, Dun Karm, and several other Maltese writers and poets have had their works translated into English in what has been a commendable and fruitful exercise at displaying some of the best fare produced for our minuscule, yet throbbing literary market. Patrick Sammut belongs to the new generation of young writers and poets who have gradually and successfully managed to cross the all-important bridge connecting the earlier Sixties generation to their pre-Wold War II predecessors. 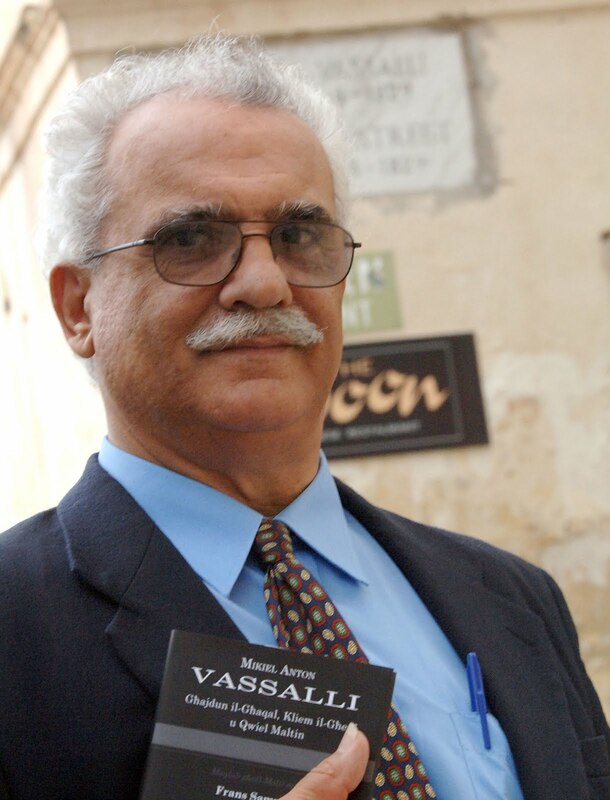 His commitment to Maltese literature has seen him establishing himself as not only a respected writer and poet, but also as a top-class literary critic whose works have become standard reference to anyone seeking to study or further analyse the development of modern Maltese Literature by way of the various generations that have come up during the past half century. These short stories continue to underline Sammut’s linguistic prowess even when set against a massive creative background. He has put together an anthology that both entices and entertains. He gives a scholarly touch to what ever he writes – the teacher in him? – but still somehow manages to steer clear from the overtly academic that sometimes can dampen or anchor an otherwise good work. Sammut’s frequent use of the first person is an elaborate piece of style, giving it authenticity and impact when least likely. His subject matter is wide and varied, his judgemental (again the teacher in him) attitude amply made up for by an unselfish and open-minded approach to all his characters and storylines. There is a keen sense of optimism, some would describe it as an acute sense of good feeling, in his work even in the worst scenarios of the stories. This anthology provides the calm to every personal or third-party storm in the stories. Sammut is soothing and eager to please, his stories fun, his creativity sometimes predictable but still highly captivating. It makes of him the visibly mature author with something to say, unembarrassed to do so and seemingly determined to show it can be done minus the vulgarities and sensationalisms of some recent Maltese Language publications by authors of Sammut’s age and younger. To have them produced and packaged in international mode, courtesy the English Language, is a joyous occasion for Maltese literary creativity and another welcome salvo from Patrick Sammut the man, the teacher, the critic, the poet and the innate story-teller. 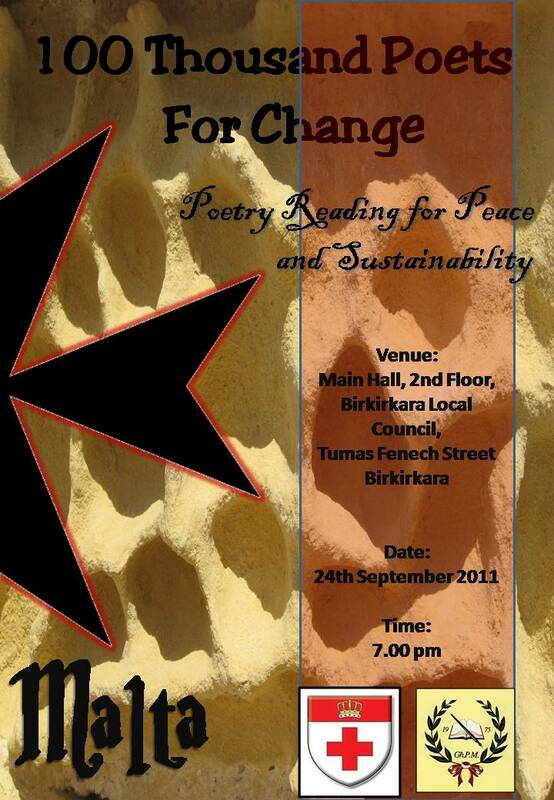 Everybody is invited to take part by reading his poetry in any language. Entrance is free. don't seize control of wars everywhere. for the ones who are still alive. 1. Kif tiftakar lil missierek fi tfulitek, kemm bħala missier, kif ukoll bħala għalliem u kittieb? Il-papà kien l-eroj tiegħi. Meta darba kelli forsi dawk il-ħames snin, sitta, żlaqt waqajt u qsamt rasi, u l-mamà ma setgħet issabbarni b'xejn għax bilfors ridt lilu. Kien l-eroj tiegħi f’kollox, u meta ħadt id-deċiżjoni li nistudja l-liġi u nsir nutar kien biex ikolli attività li l-aktar tixbaħ lil dik tiegħu: il-kitba. Konna naraw it-televiżjoni flimkien: l-aktar Quelli della Notte u Indietro Tutta!, it-tnejn ta' Renzo Arbore. Imma mbagħad konna nilletikaw għax jien dejjem irrid nara l-films ta' Bud Spencer, u hu ma jaħmilhomx, u l-mamà tispiċċa tagħmilha ta' bejjiena! Kont noqgħod f'ħoġru hu u jagħti l-privat, u niftakar l-ewwel darba li rajt il-ħars misruq tan-namur bejn żewġ studenti tiegħu - hi kienet xbejba l-ġmiel tagħha, xagħarha qastni kollha nemex, u hu kien ġuvnott fuq ruħu, b’par xrariet flok ħbub. Dak il-ħars, trafugat, baqa' impress f'moħħi. Hekk kienet iż-żgħorija. Meta mbagħad daħlet iż-żgħożija, l-affarijiet inbidlu. Kien inbidel il-Gvern u saru diversi vendikazzjonijiet minnu, u bħala familja ħassejnieha lkoll. 2. Meta missierek kien ikun qed jaħdem fuq xi rumanz jew ktieb ġdid kif kien iġib ruħu d-dar, liema metodi kien iħobb juża, u wara kemm kien jasal għall-prodott finali mixtieq? Meta jkun qed jikteb, fid-dar kien ikollu jsaltan skiet ta’ monasteru. Il-mamà kienet tattwaha dil-politika ta’ rispett assolut lejn il-ħtieġa tal-papà li ħadd ma jiddisturbah. Kellu l-ħila jintasab jikteb u jibqa’ hemm sigħat sħaħ. Kien jinfesdaq fil-konċentrazzjoni bħalma x-xagħat jinfesdaq fil-krisalide. U mbagħad, wara l-perijodu ta’ ġestazzjoni, jitwieled il-farfett, il-kitba. Il-kitba kienet bħal nixxiegħa... meta kiteb bl-istream of consciousness (f'Paceville ngħidu aħna) kien qed jikteb bl-aktar mod intimu, kif kien joħroġ dak li jkun hemm ġo fih, xi ftit bħalma Atena ħarġet minn ras Żews. Dwar Il-Ħolma Maltija qal li kien ilu mal-25 sena jaħdem fuqu. B’dan ma riedx ifisser 25 sena jikteb u jħassar u jerġa’ jikteb – dak ir-rumanz kitbu, f’kemm? xahrejn, tlieta? U dam, għax darba, bi żball, ħassar l-ewwel żewġ kapitli jew tlieta u kellu jerġa’ jiktibhom mill-ġdid. Wara dik l-esperjenza kerha, beda jipprintja kull kapitlu li jtemm. Dam 25 sena jirriċerka u jaħseb fuqu, u jimmedeżima ruħu mal-personaġġ. B'hekk ħareġ rumanz daqstant tajjeb – tant li Fr Norbert Ellul-Vincenti, il-kritiku tat-Times, qal li ma hemm xejn tal-kobor tiegħu fil-Letteratura Maltija. Għax il-papà, naħseb jien, mexa b’teknika li fit-teatru jgħidulha La Méthode jew method acting. U l-vendikazzjonijiet politiċi għaraf jissublimahom f’arti. 3. Kemm irnexxielu Frans Sammut jgħaddilek l-imħabba tiegħu lejn l-ilsien u l-letteratura Maltija? Kif għamlu dan? Toni Cortis darba semagħni nitkellem dwar il-Malti bħala l-veikolu għat-turija tal-imħabba lejn in-Nazzjon Maltija, u lill-papà qallu, "Dan brainwashing!" Nitbissem naħseb f’dan. Iva, naħseb jien u nikber rajt dar-rakkmu kontinwu tal-bandalori u stendardi letterarji u saġġistiċi tan-Nazzjon Maltija. Ħalli ngħidlek kif trawwimt. Meta kont qed nagħmel it-tieni Master’s tiegħi, fit-Traduttoloġija, wasalt (bħas-soltu!) tard għal lecture u dħalt mill-ewwel bieb li sibt. Il-lecturer saqsietni, "English?” u t-tweġiba tiegħi spirtu pront kienet, “Le, Malti jien!” Naturalment, il-mistoqsija kienet jekk kontx hemm għal-lezzjoni tal-Ingliż... Wara qaltli li dik ir-risposta ma ħallitilha lanqas l-iċken dubju li dak li kellha quddiemha ma kien ħadd għajr bin Frans Sammut. In-nazzjonaliżmu tal-kitba tal-papà jien nifhmu bil-metafora tal-orkestra. Bħalma f'orkestra kull daqqâq isib il-milja tiegħu għax qed idoqq il-biċċa waħdanija tiegħu għad li flimkien mal-oħrajn, hekk f'dan-nazzjonaliżmu kull wieħed jista' jgħid “Jiena jien” għax il-kotra kollha flimkien tgħid “Jiena jien” filwaqt li tħalli lil kull wieħed jgħix il-“jien” tiegħu f’armonija mal-oħrajn. Din l-armonija tiddependi mhux biss mil-libertà li dak li jkun jfittex it-twettiq tal-potenzjalitajiet sħaħ tiegħu, imma wkoll mill-għajnuna li min għandu jagħti lil min m’għandux. Biex Nazzjon tkun f’saħħitha, jeħtieġ li tkun mogħnija b’dil-libertà ta’ twettiq il-potenzjalitajiet minn naħa, u bir-responsabilità li wieħed jgħin lill-ieħor min-naħa l-oħra. Jiġifieri, mhux “Jiena jien” egoista, imma “Jiena jien” għax anki ħaddieħor jista’ jgħix il-“Jiena jien” tiegħu. Dawn naħseb kienu l-ideat tal-papà. Il-papà, f'intervista li kien ta lilek Patrick fl-2007, kien tkellem favur il-globalizzazzjoni. Issa, hu magħruf li l-akbar għedewwa tal-globalizzazzjoni huma n-nazzjonalisti (m’iniex ngħid għall-PN Malti, imma għan-nazzjonalisti inġenerali, dawk favur l-Istat-Nazzjon). Din tista’ tidher bħala kontradizzjoni fil-ħsieb tal-papà, imma ma hijiex. Għax in-nazzjonaliżmu li mhux romantiku (bħal dak ta’ Vassalli), jista’ jkun favur il-globalizzazzjoni. Huma bosta l-ħassieba tax-xellug li jieħdu dil-pożizzjoni. U fl-ambitu Ewropew tieħu rilevanza akbar, aktar u aktar jekk ma rridux li l-Ewropa ssir Ewropa Ġermaniża. Ngħidu aħna, meta kont intervistajt lill-kittieb Sqalli Andrea Camilleri, ħdax-il sena ilu ormaj, kien qalli li hu ma jridx Ewropa li tħit l-istess libsa għal kulħadd, imma li l-libsa tkun tiġi skont id-daqs ta' dak li jkun. Issa Camilleri huwa tax-xellug. Il-politiku Naplitan, ukoll tax-xellug, Francesco Compagna (1921-1982) kien ħareġ ktieb jismu L'Europa delle Regioni, li tkellem appuntu fuq l-idea li l-kejl it-tajjeb tal-politiki Ewropej hu r-reġjun mhux l-istat-nazzjon. Issa f'Malta, kif qal il-Professur Henry Frendo f'Malta. Culture and Identity (1994), il-heimat (jiġifieri l-appartenenza għal identità partikolarista, lokalista – imma anki l-appartenanza għal art) ma huwiex bħall-bqija tal-Ewropa, u dan minħabba fiċ-ċokon tagħna. Jgħidilna Frendo: mentri fl-Ewropa tal-pajjiżi l-kbar hemm żewġ appartenenzi, dik għan-nazzjon u dik għal-lokal, f'Malta daż-żewġ appartenenzi jitwaħħdu. (Apparentement kontra dit-teżi ta’ Frendo, hemm it-teżi taħtiena għall-opera omnia tal-papà, kif aċċennaw Alfred Sant fil-kumment li kiteb fil-maltastar.com (dwar in-nazzjonaliżmu tal-papà) u l-Professur Peter Serracino Inglott fin-nekroloġju li kiteb dwaru fis-Sunday Times – l-akbar xhieda tan-nazzjonaliżmu partikolarista tal-papà huma l-kotba fuq San Filep u fuq Ħaż-Żebbuġ. Però, jien nirriżolviha dil-apparenti kontradizzjoni billi dak Żebbuġi narah bħala għamla ta' "sottoheimat". Fi kliem ieħor, il-papà għandu l-heimat fis-sens li spjegah Frendo (il-heimat sui generis Malti minħabba fiċ-ċokon ta' Malta) u s-sottoheimat li hu sottintiż fil-kumment ta' Dun Peter dwar imħabbet il-papà għal Ħaż-Żebbuġ. In-nazzjonaliżmu fil-kitbiet tal-papà huwa nazzjonaliżmu kondiviż minn ħassieba Sud-Ewropej oħrajn tax-xellug u jidħol kexxun fil-kunċett tal-Ewropa tar-Reġjuni, li wassal għall-Kumitat tar-Reġjuni. Nisħaq fuq l-element Sud-Ewropew għax jekk toqgħod tqis, fl-Italja huma dawk tax-xellug li jimportahom mit-tradizzjonijiet folkloriċi (ara: is-sagre taż-żfin tradizzjonali bħala eżempju – u ara l-botta ironika tal-komiku Checco Zalone f’La Pizzica di Destra: "Siamo un gruppo di musica popolare di centro-destra" u r-risposta fissiera ta' Claudio Bisio: "Ma non esiste! La musica popolare è storicamente di sinistra!” Il-bqija tista’ tarah int u tidħaq fuq dil-link: http://www.youtube.com/watch?v=sv_uUt3LNIE). Il-papà kien dejjem jisħaq li n-nazzjonaliżmu kif mifhum fin-Nord tal-Ewropa, l-Ewropa Ġermanika, hu ferm differenti minn dak kif mifhum fis-Sud, l-Ewropa Latina. Jien inżid li tan-Nord fih aktar minn niskata razziżmu fih. In-Nazzjon ta’ Vassalli (li kien jemmen fiha l-papà) hija l-poplu li jitħaddet l-istess ilsien (din-nozzjoni għadha suprema fil-Kostituzzjoni Franċiża – ara l-każ tal-ilsien Korsikan); l-idea ta’ Nazzjon li ġiet aktar tard, kienet dik tad-demm u l-art. Minħabba f’dal-kunċetti tal-papà, kelli naqra ħafna dwar in-nazzjonaliżmu kemm fil-pożittiv u kemm fin-negattiv, anki dwar il-ħmerijiet li nibtu mill-eżasperazzjoni ta’ dil-emmna fl-ewwel dekadi tas-seklu 20 (ara l-kelmtejn li ktibt fid-Dizzjunarju ta’ Azopardi maħruġ mill-Għaqda tal-Malti – Università). Il-papà ma kienx Nazzjonalist romantiku – fejn hemm l-għeruq tal-Partit Nazzjonalista Malti. Kien nazzjonalista fis-sens ta’ Vassalli, pre-Romantiku. Fil-fatt naħseb li min jemmen fil-prinċipji tal-bidu tal-Partit Nazzjonalista Malti ma jistax jafferra u jagħmel tiegħu verament in-nazzjonaliżmu ta’ Vassalli. Huma żewġ tipi distinti ta’ nazzjonaliżmu. Imma nħalli f’idejn min jifhem aktar minni ħalli, b’attenzjoni, jispjega sew dawn il-kunċetti. 4. Frans Sammut u l-politika fis-sens dejjaq u wiesa’. Xi tgħid dwar dan? Kif jidher dan f’xogħlu bħala kittieb u riċerkatur? Ħafna hemm x'nista' ngħid. Ħafna dwar l-imħuħ żgħar (li kulfejn imorru jieħdu magħhom kelb kbir tal-ġlied marbut biċ-ċinga imma bla sarima jismu Ego, li jinbaħ u saħansitra jigdem) li jabitaw id-dinja politika. Imma wkoll dwar il-ġentlomerija ta' oħrajn f’dik l-istess dinja. ’Il quddiem, meta jkun il-waqt, nista’ nitħaddtu aktar dwar dan. Għalissa ngħid biss li l-papà darba qalli li r-rispett lejn il-Letterati jisboq kull kunsiderazzjoni politika. Kellu koerenza tal-azzar. Kollox ma’ kollox, nista’ ngħidlek li l-politika ġġib aktar dieq milli ferħ. Darba Professur ħabib tiegħi qalli, “Il-politika hi bħal mara sabiħa. Aktar ma ’ttik bil-ħarta aktar tkun tridha!” U x’aktarx qalli sew. Il-papà ħaseb li bil-politika seta’ jsib mezz kif l-ideat tiegħu, ta’ Mħabba għan-Nazzjon Maltija, iwettaqhom. Il-verità hi li, meta titgħerwen mill-fixfixò tal-appagament tal-ego, il-ħajja pubblika żżomm lil dak li jkun ’il bogħod mill-familja, toħloq għedewwa bla bżonn, iddawrek bi ħbieb uħud veri (is-soltu joqogħdu pass lura) uħud foloz (is-soltu jiddandnu bħal pagun), u ġġib prezz għoli għall-familja. Aħna nisimgħu spiss b'meta ġgajta daħlet fid-dar ta' politiku prominenti u kissritlu kulm'hemm. Nikkundannah bl-akbar qawwa dak l-attakk. Imma ma jmurx xi ħadd jaħseb li f’dak il-każ biss, u fuq dik in-naħa biss, kien hemm il-vjolenza. Kif darba qaltli l-poetessa Maria Ganado fuq it-taraġ tal-Università, f’Malta bħal f'kolonji oħra, wara l-indipendenza kellna gwerra ċivili - għad li tagħna mingħajr ma ġera d-demm. L-Ingliżi jaħtu ħafna għall-vjolenza li rajna fis-seklu 20. Ma ninsewx meta sparaw fuqna l-Maltin fl-1919. Rawha l-ħdura n-Nazzjonalisti fil-Gwerra meta internawlhom lill-mexxejja tagħhom, u l-Laburisti wara l-Gwerra matul it-tentattiv studjat u protratt fuq snin twal ta’ marġinalizzazzjoni mis-soċjetà ċivili, bl-użu saħansitra tal-Arċisqof – fil-vesti personali tiegħu – bħala għamla ta’ maħaraġà. Min irid jgħid mod ieħor, imur jipprietka Hyde's Park! Il-vjolenza morali u l-imrar li ġġib magħha doqnieh u ġarrabnieh fil-prima persuna. Min-naħa l-oħra, il-papà kien immexxi mill-ideal u ma kkalkulax li kien hemm min jitmexxa mit-tir li jħaxxen butu. Ħaseb li l-ideal kien biżżejjed. Ma qisx il-mibegħda, il-għadab, is-sens ta' inġustizzja soffert minn min tkaża bil-korruzzjoni li bħal kankru ġriet mal-korp politiku li miegħu assoċja ruħu l-papà, għad li hu (il-papà jiġifieri) baqa’ dejjem nadif. Il-papà kien – kif darba qal quddiem bosta nies avukat partikolari, qarib ministru ta’ żmien Boffa, fi Strada Mezzodì, kif kienet tgħidilna n-nanna omm missieri, il-Belt – idealist wisq biex jieħu xi ħaġa materjali mill-politika. Inħobb niġbdilhom l-attenzjoni lill-imħuħ iż-żgħar għall-qagħda tagħhom. Għax itendu, dawn li żgħir hu l-għadd tagħhom imma kbir l-istorbju li jagħmlu, li ma jifhmuhiex l-istampa l-kbira u jagħmlu ħafna ħsara bil-ħmerijiet li jiktbu. Ma jifhmux ir-responsabilità marbuta mal-libertà tal-istampa. Jaħsbu li l-libertà hi libera, mentri fir-realtà l-libertà hi serva. Tar-responsabilità. Il-miżien tal-Ġustizzja għandu f’keffa minnhom l-użin tal-Libertà u fl-oħra l-użin tar-Responsabilità. Fl-Ingilterra, Omm id-Demokrazija u Omm il-Liberaliżmu, fl-aħħar fehmuha din: ara l-ġrajja tan-News of the World. Il-kitba tal-papà tirriflettih bil-kbir l-impenn tiegħu fil-politika. Imma nemmen li ma kienx hemm f’moħħ il-papà linja ta’ demarkazzjoni bejn il-Politika u l-Letteratura. Il-papà kien letterat fil-politika, u għalhekk naħseb kien iqim lil Alfred Sant. Dan bħalma Guido de Marco kien dejjem avukat difensur fil-politika. (Naħseb dak hu l-messaġġ aħħari tal-awtobijografija tiegħu, Il-Politika tal-Persważjoni.) Għax – bħalma l-Professur Charles Briffa wera li l-professjoni tal-kittieb tiskula mill-pori tal-kitba tiegħu – hekk ukoll fil-politika, il-kostituzzjoni mentali msawra mill-professjoni tlewwen ħidmet il-politiku. 5. Fl-opinjoni tiegħek, Frans Sammut jibqa’ jiġi miftakar l-aktar bħala kittieb tar-rumanzi jew bħala riċerkatur? Għaliex? Hu xtaq li jibqa’ mfakkar bħala rumanzier. Darba qalli, “Jien ma ktibtx ħafna rumanzi. Imma naf li dawk il-ftit li ktibt huma tajbin.” Naħseb li l-ġenerazzjoni ta’ żmienu hekk se tibqa’ tiftakru. Għandu mnejn li l-ġenerazzjonijiet futuri jarawh ukoll bħala riċerkatur fin, li kellu l-ħila jinfed territorji verġni kif ukoll jgħid ħwejjeġ li ħaddieħor, minħabba fl-irbit taċ-ċirkostanzi personali tiegħu, ma setax jgħidhom. Imma ħafna milli qal, qalu qabel żmienu... irridu nistennew u naraw x’se jkun il-ġudizzju tal-ġenerazzjonijiet futuri. Sadattant, lil dal-ġenerazzjonijiet irridu nżommulhom ħajja l-imħabba lejn in-Nazzjon Maltija. 6. Naf li Frans Sammut kien iħobb ukoll jilqa’ stediniet biex jiltaqa’ mal-istudenti fl-iskejjel. X’kien ifisser dan għalih u kemm kien importanti? Se nwieġbek b’one-liner: It-tagħlim kien dak li jagħtih il-hena li jgħix. 7. Naf li Frans Sammut ħadem ħafna fuq riċerka dwar ir-Rivoluzzjoni Franċiża. X'kienet ir-relazzjoni tal-papà tiegħek ma' ilsna oħra apparti l-Malti? Huwa bħala persuna u bħala kittieb u riċerkatur kif kien jintlaqa' mill-barranin? Il-papà studja t-Taljan l-Italja, l-Università ta’ Peruġja. Hawn Malta studja l-Malti u l-Għarbi l-Università, u l-Ispanjol u l-Franċiż u naturalment l-Ingliż. Kien iħobb jgħid li meta jmur għall-Konferenzi fil-Mediterran kellu l-ħila jifhem tista’ tgħid kulma jingħad mingħajr il-ħtieġa ta’ interpretu. Kien iħobb jgħid ukoll li meta kien il-Kulleġġ (San Alwiġi) kull kelma ġdida li jitgħallem f’ilsien, kien ikun pront jaqlibha fl-ilsna l-oħra li jaf, f’moħħu. Jiġifieri mħabbtu għall-ilsna kienet bla qies. Dan urieh mhux biss fix-xogħol imprezzabbli li wettaq fuq il-Lexicon ta’ Vassalli, imma wkoll fl-interpretazzjoni rivoluzzjonarja li ta lil Xidew il-qada, il-kantilena ta’ Pietru Caxaru, bis-saħħa tal-għarfien li kien beda jikseb tal-Għarbi Andalus. Il-ħakma tiegħu tal-Ingliż urieha, fost l-oħrajn, fil-monografija bilingwi li kiteb fuq The Da Vinci Code, mentri tat-Taljan narawha (nittama) ma ndumux meta joħorġu ż-żewġ kotba li kiteb b’dak l-ilsien. Il-barranin li jiltaqa’ magħhom kienu jintrebħu mis-simpatija u mill-għarfien tiegħu. L-aħħar Professur li sar jaf bih bħala fost l-aqwa kittieba Maltin, u ried jiltaqa’ miegħu kien il-Professur Hanan Bordin, minn Ġerusalemm – li għandu l-papà kellu jmur f’dak l-istess xahar li fih miet. Fl-istudju d-dar, hemm ittra mingħand in-Nunzju Appostoliku tas-snin ’90 li tant kien ammirah. U mbagħad, meta kien qiegħed jaħdem fuq id-dizzjunarju tal-Baruni Azopardi, kiseb l-iskannerizzazzjoni tad-dizzjunarju mill-Indiana State University tal-Istati Uniti. Naturalment, in-namra kbira tiegħu mar-Rivoluzzjoni Franċiża u l-eroj tagħha Napuljun tatu l-enerġija li jikteb mhux biss tifsira tar-Rivoluzzjoni imma l-opus magnus storiku tiegħu Napuljun f’Malta, li ġie tradott għall-Franċiż bħala Napoleon à Malte, u wassal għar-rikonoxximent tal-papà bħala skular ta’ Napuljun meta ġie elett Fellow tas-Soċjetà Napoleonika Internazzjonali. Il-ħasra hi li miskin ma kellux żmien igawdih dal-unur; miet anqas minn għaxar xhur wara. Fil-Leħen is-Sewwa kien hemm min ikkummenta li l-monografija dwar The Da Vinci Code hija ta’ livell mondjali (fil-fatt qalgħet tifħir anki minn uffiċjali għoljin tal-Vatikan, li għad għandi l-ittri tagħhom). Jien konvint li dan il-kumment jgħodd għall-opera omnia tal-papà, li l-kitba tiegħu hija esportabbli, għax hija universalment ontoloġika. 8. Frans Sammut kien bniedem li ma jżommx ħajta fuq ilsienu, u anki bniedem b’sens ta’ umoriżmu. Xi tgħid dwar dan? Huwa minnu li l-papà ma kellux ħajta f’ilsienu. L-abjad isejjaħlu abjad u l-iswed iswed. Bla biża’. Ħaġa rari f’Malta, il-bejta tal-beżżiegħin, fejn il-libertà tal-istampa qajla tintuża għal tiftix il-verità daqskemm għal tifrik l-opponent. Dan għax, kif qal Vernadsky jidhirli (ikkwotat minn Ġużeppi Schembri fil-ktieb tiegħu tal-1990 dwar il-Wirt Komuni tal-Umanità), huwa poplu mejjet dak li jimportahom biss l-ideat. Il-Maltin importaw barbarament l-idea tal-libertà tal-istampa, mingħajr ma fehmu l-kuntest li fih kienet żarġnet u ssajret fl-Ingilterra, fejn hemm ftehim taċitu dwar ir-regoli mhux miktubin tas-soċjetà (ara The British Constitution, 2007, ta’ Anthony S. King). Darba l-papà qalli li f’Malta x-xeblieka tal-intelliġenza ma tħabrikx biex ixxeblek ’il fuq, imma biex tinfirex fil-mimdud, u dan għax il-Maltin għamlu tant sekli maħkumin mill-barrani. Il-ħakma tal-barrani kienet bħal pressa kbira tagħfas minn fuq ’l isfel, u allura l-magma tal-intelliġenza flok jiżbroffa ’l fuq kellu bilfors inixxi fil-ġnub. Il-papà mhux waħdu li kellu dil-karatterstika li l-abjad abjad u l-iswed iswed. Jien ilmaħtha mill-anqas fi tnejn oħra: Guido de Marco – li darba bi qlubija qal li fit-Tieni Gwerra aħna l-Maltin issilitna spalla ma’ spalla mal-ħżiena (l-Imperjalisti) kontra l-agħar (in-Nażi-Faxxisti) – u Giuseppe Mifsud Bonnici – li fil-ktieb li ħriġna flimkien (Il-Liġi, il-Morali, u r-Raġuni, 2008) qal li hu ma jifhimx kif il-Knisja tal-lum donnha tibża’ tiddeklama twemminha, mentri hu jitla’ fuq il-bjut jħabbru (it-twemmin ta’ dik l-istess Knisja) lill-erbat irjieħ tad-dinja! 9. Ħafna raw lil Frans Sammut waqt il-lejla li fakkret lill-Poeta Nazzjonali, Dun Karm Psaila, f’Ħaż-Żebbuġ, flimkien ma’ Oliver Friggieri u Peter Serracino Inglott, ftit qabel ma ħalliena. Kemm kienu importanti għalih figuri bħal Dun Karm u Mikiel Anton Vassalli, Żebbuġin bħalu? Kienu importanti għax kienu Żebbuġin, u importanti għax Eroj Maltin. Mill-bejt tad-dar tagħna, f’Ħaż-Żebbuġ, jidher iċ-ċimiterju tal-Qalb ta’ Ġesù, bil-kappella li fiha hemm midfun Dun Karm (li rrestawraha dan l-aħħar l-ex-Deputat Michael Bonnici). Darba kellna mistieden barrani, u tlajna fuq il-bejt nammiraw il-panorama. Meta ħarsitna waqgħet fuq dik il-kappella, il-papà qalilina li għax kien patrijott veru, Dun Karm safa mogħti l-ġenb minn sħabu l-qassisin l-oħrajn. Ġralux l-istess Vassalli? Ġralux l-istess il-papà, li għax ra f'Dom Mintoff patrijott Malti ieħor, safa mwarrab għal xi żmien minn sħabu tal-Letteratura Maltija? Inti semmejt lil tnejn min-nies li l-papà kien jammirahom u jħobbhom, għad illi għal xi snin kienu mbegħdin minn xulxin. Il-Professur Friggieri kien jiktiblu ittri sbieħ ta’ tifħir lill-papà, mentri Dun Peter qal fir-rubrika tiegħu fil-gazzetta li jqis lill-papà “ġenju”. Jekk il-papà kienx tabilħaqq “ġenju”, jien dan ma nafux. Lanqas ma naf kellux raġun George Bernard Shaw dwar x'jagħmlu l-ħajja u l-mewt. (Jidhirli kien qal, Life levels all men. Death reveals the eminent.) Li naf biss hu li t-talent li kellu, il-papà ħaddmu fuq li ħaddmu, fid-dieher u anki fis-satra. 10. Fuq xiex kien qed jaħdem dan l-aħħar? Xi proġetti hemm biex dak li ma temmx jikteb jew jippubblika xi darba jara d-dawl u jkun jista’ jgawdih kull min hu interessat? Hemm żewġ “rumanzetti” li kiteb meta kien għadu tfal! Huma westerns ħelwin, bl-Ingliż! Meta nqis li Eragon kitbu tfajjel, Christopher Paolini, ta’ 15, u għamel dak is-suċċess, tiġini t-tentazzjoni li nara l-mamà u ħija jaqblux li noħorġuhom! Fuq nota aktar serja, hemm fihom ġa ħafna ideat li użahom meta kiber... ngħidu aħna li jagħlaq il-kitba billi jżewweġ il-forma mas-sustanza. Hemm bosta xogħlijiet maturi tiegħu, u qed nippruvaw nimponu ordni fuqhom għax jinsabu sparpaljati. Hemm ktieb mitmum qiegħed fuq il-hard disk ta’ kompjuter – jekk it-tekniċi jsalvawh, noħorġuh. Kien qiegħed jaħdem fl-aħħar fuq żewġ proġetti żgur: ktieb b’tagħrif ġdid dwar Dun Karm (kellu jinħareġ mill-Kunsill Lokali ta’ Ħaż-Żebbuġ, imma kulma laħaq kiteb minnu kien Dħul il-Ktieb), u t-teżi dwar il-qrubija bejn l-Għarbi Andalus u l-Malti li dwarha kien qed imaħmaħ fl-aħħar ftit ta’ ħajtu, mill-anqas l-aħħar sentejn. 11. Fl-opinjoni tiegħek liema taħseb huwa x-xogħol l-aktar importanti ta’ missierek? Għaliex? Bl-emozzjoni ngħidlek li l-aħħar xogħol tiegħu. Għax dwaru l-aktar li kien entużjast fl-aħħar ftit. Kulmin mar iżuru l-isptar fl-aħħar jiem, jiftakar kif kien qiegħed jikteb it-testment intellettwali jgħid lil kulħadd dwar it-teżi tiegħu tar-rabta bejn il-Malti u l-Għarbi Andalus, u d-demm Lhudi (Sefardi) li jiġri fil-vini tagħna l-Maltin. Allura nħoss li l-aktar xogħol importanti tiegħu kienet l-interpretazzjoni ta' Xidew il-qada ta' Caxaru. Bir-raġuni, imma, ngħidlek li naħseb l-aktar xogħol importanti tiegħu hu – kif qal il-Professur Oliver Friggieri – it-trittiku Il-Gaġġa-Samuraj-Il-Ħolma Maltija. Dak it-trittiku huwa l-mera tal-Maltin tas-Seklu 20 u tal-bidu tas-Seklu 21. Min ma jifhimx dan, f'fehmti mhux jara sew. 12. Taf jekk qatt missierek kiteb xi poeżiji? Jekk iva, x’kien jgħid dwar dan il-ġeneru u dwar il-versi tiegħu? Ma kienx iqis ruħu poeta. Għad li kiteb ftit poeżiji (u dehru fil-kotba li ħareġ). Ma nafx lill-mamà kienx jiktbilha poeżiji ta' mħabba meta kienu għarajjes. Avolja għandha qalbha kbira u ġeneruża bla tarf, il-mamà mara samma daqs blata, u ma titkellimx dwar ħwejjeġ li bl-Ingliż nistgħu ngħidulhom soppy... ta’ sentimentaliżmu ibleh. Imma ntenni li jien naħseb li ma kienx iqis li għandu s-sensibilità tal-poeta. Ħa nkunu ċari. Lord Byron – li bħall-papà kien ammiratur ta’ Napuljun Bonaparti – kien poeta u mar jieħu sehem fit-taqbida għall-Indipendenza tal-Greċja, fejn tilef ħajtu. Imma Byron qatt ma kien fuq fomm missieri. Minflok, fuq fommu kien hemm Dun Karm, Leopardi, Achille Mizzi... poeti li naħseb kien jarahom li għandhom sensibilità differenti minn tiegħu, u anki minn ta’ Byron. Il-poeżija kien iħobb jaqraha, jirreċtaha bl-amment, imma ma jarax lilu nnifsu bħala poeta. Hu kien rumanzier. Fil-ħajja, kien poeta. Għex, u miet ta' poeta. 13. Frans Sammut spiss kien jikteb ukoll fil-ġurnali. Hemm xi ħsieb li xi darba dawn kitbietu jinġabru fi ktieb biex jgħinu lill-qarrej jifhem dejjem aktar il-ħsieb ta’ kittieb ewlieni bħalu? Hija xewqa tiegħi. Imma mhux għalissa. Hemm wisq xogħlijiet tiegħu li għadhom ma ġewx stampati, li jinsabu sparpaljati. U hi biċċa xogħol mhux żgħira nsibuhom u nikkollazzjonawhom. Kważi impjieg part-time biex ma ngħidlekx full-time! Mentri jien għandi l-proġetti l-oħrajn ta' ħajti li kont ġa ppjanajt u mexjin donnu ħadu ħajja indipendenti minni u għoddni ngħix taħt id-dittatura tagħhom. Qiegħed naħdem fuq Ph.D., qed nittraduċi ktieb (diffiċilissmu) mit-Taljan għall-Ingliż, qed nikteb xi saġġi... insomma l-24 siegħa li jislifna l-Mulej kull jum m'humiex biżżejjed! U ż-żmien jaħrab... Naturalment, jekk hemm min jitħajjar jidħol għal biċċa xogħol bħal din, isib l-inkoraġġiment sħiħ min-naħa tal-familja.